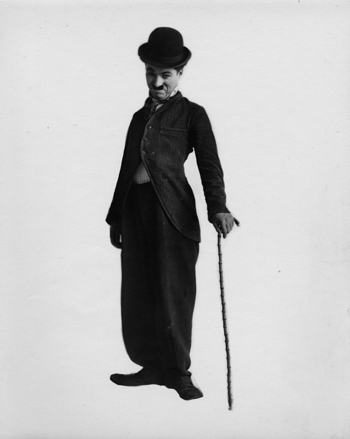 The Tramp character that Charlie Chaplin created at Keystone, developed at Essanay, and perfected at Mutual has the incredible ability to transcend circumstance, bringing much-needed laughter to the most unexpected of places. Author Aviva Stein recounts her moving firsthand experience attending a recent screening of Chaplin’s The Kid for a theater full of children in Rojava, a small region in the north of war-torn Syria. This essay will appear in the Spring 2016 issue of Silent Film Quarterly, the only print publication dedicated exclusively to the early days of cinema. The Tramp moves cautiously between windows, careful not to break the pane of glass on his back or arouse suspicion of the scam he is running with the Kid. The scamp dashes from place to place, breaking windows with a wind-up any baseball player would be jealous of in preparation of the Tramp’s arrival. However, a policeman discovers the con and runs the two out of town, all to a jovial tune and laughing audience. Rojava, a small region in the north of war-torn Syria, is perhaps the last place in the world one would expect to find a theater of children laughing at the antics of Charlie Chaplin’s famous Tramp in The Kid (1921). But in fact, it seems that a little bit of old-fashioned slapstick is just what the doctor ordered. Rojava is a cultural melting pot in the truest sense of the phrase. Although technically still part of Syria, the region is historically Kurdish, and in 2011 when the Syrian Civil War broke out, Rojava seized the moment and declared autonomy. Since then, a bottom-up system of governance has been implemented under the ideology of “stateless democracy,” or democratic confederalism. The governing body, calling itself the self-administration, has embraced gender equality, and brought together the area’s various cultures, ethnicities, languages, and religions. It was this ever growing and evolving society which was kind enough to host me for one week, along with a delegation of twenty-seven other Westerners, to experience democratic confederalism in Rojava firsthand, as well as participate in a conference on stateless democracy. While the conference was interesting and the politics fascinating, the true gems of this visit lay in exploring the culture of Rojava and interacting with the people. Each day of our visit, we travelled to various cities within the region. From Serê Kaniyê, a small town on the border with Turkey where we viewed buildings pock-marked by bullet holes and heard stories from families and fighters of the People’s Protection Units (YPG)—the main military branch in Rojava—to Qamishli, a town where culture is flourishing against all odds, and the home to the theater where we were lucky enough to join local children and families for the first public screening of The Kid. The Kurds have had a long struggle with culture. Known as the largest nation of people with no state, Kurdish culture has been historically repressed by the regimes of each state they have called home, namely Iraq, Iran, Turkey, and Syria. On November 13, 1960, this cultural repression experienced by the Syrian Kurds manifested itself in a horribly tragic event in the city of Amouda. The Syrian regime forcibly gathered over 500 primary school students for a propaganda film viewing, only for the overcrowded theater to burn down, killing more than 250. However, rather than succumb to the bitterness of oppression and become an intolerant society, Rojava has done just the opposite. In breaking free from the Syrian government, this region has embraced diversity and acceptance from the ground up. Chaplin, too, survived a long struggle which he refused to let harden him. Growing up impoverished, often sleeping on the streets of London, he found a way to turn his hardship into hope, just as the children of Rojava do every day. The generosity and welcoming nature of everyone we met was truly a sight to behold, evident even in allowing us to sneak quietly into the back of the theater after arriving for the screening five minutes late. Showing The Kid was not only a way of demonstrating cultural acceptance, it was also a cultural celebration. On November 13th every year, the Amouda cinema fire is remembered and commemorated, but Chaplin’s film was the first to be screened publicly across multiple cities since 1960. That it was The Kid chosen for this honor becomes even more poignant in remembering that Chaplin lost his own first child, Norman Spencer Chaplin, just before pre-production on the film began. The screening of The Kid across Rojavan cinemas was a symbolic reclaiming of culture and power from an oppressive regime, demonstrating that the spirit of Rojava and its people will never be dampened. We viewed the 1971 version of the film, which Chaplin himself scored and edited from the 1921 original. The film’s title cards were translated into Kurdish, but all ethnicities were present, from Kurds to Arabs to Assyrians and more. The group responsible for organizing the showing, Komina Film A Rojava (Rojava Film Commune), is a multicultural body dedicated to supporting the cinematic efforts of those within Rojava. Bringing Chaplin and The Kid to the Rojavan people is only the beginning for this organization, but it is a promising start for the grass-roots democracy slowly taking root. I can think of no better movie to start this transition towards freedom with than Chaplin’s first feature film. However, this is not to say the screening went off without a hitch. Nearing the end of the movie there was a small scramble to skip a scene where The Tramp dreams that the Kid has died. This brought us back to the reality that all of these children have faced unthinkable traumas in the conflict environment they have been born into. Despite this, there is no denying it was a happy and successful event all around. In a theater filled with laughing children and smiling parents, it was possible, just for a moment, to forget that we were in the middle of one of the most volatile regions in the world. It was also an important reminder that while these children take on many adult responsibilities, they are in fact, just children. Even in a war zone, Charlie Chaplin’s language of comedy transcended the toughest barriers to bring laughter and happiness to the audience. The happiness in the theater echoed the high spirits of the Rojavan Revolution, a movement dedicated to fighting for true equality and free expression for all. While the revolution has only just begun, events like this screening prove that it is possible to bring about change through an inclusive, open system. Film remains an important vehicle for these changes, connecting humans everywhere on a fundamental level, beyond language and experience. Rojava remains a bright light in a sea of darkness, a beacon of hope for the rest of the world. And watching The Kid in that room full of smiles serves as an invaluable reminder that even across an ocean, across the world, across time, we can always find common ground. Aviva Stein lives in Utrecht, Netherlands, where she studies at Utrecht University. She has worked with Utrecht University’s Center for Conflict Studies and the New World Summit. Silent Film Quarterly is the only print publication dedicated exclusively to the early days of cinema. Featuring original content, reprinted material from the silent era, movie reviews, and interviews, the magazine is dedicated to preserving and celebrating all aspects of silent movies. Contributions have already come from some of the leading scholars on the subject. Its Spring 2016 issue is now available for pre-order. For more information or to subscribe, visit silentfilmquarterly.com. Silent Film Quarterly is on Facebook at facebook.com/silentfilmquarterly. 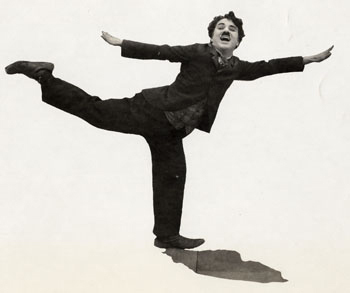 To see the evolution of Charlie Chaplin’s ‘Tramp’ in his early shorts, check out Chaplin at Keystone, Chaplin’s Mutual Comedies, and Chaplin’s Essanay Comedies, all newly-restored and available now.